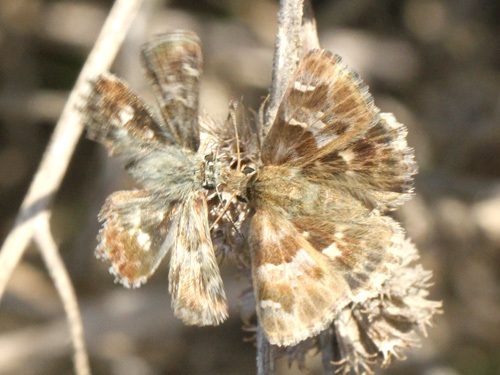 Local in southwest Europe. 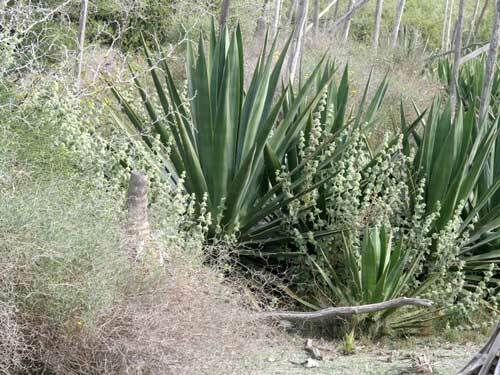 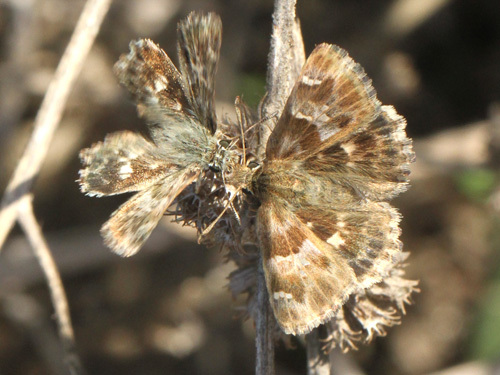 There are a number of similar species. 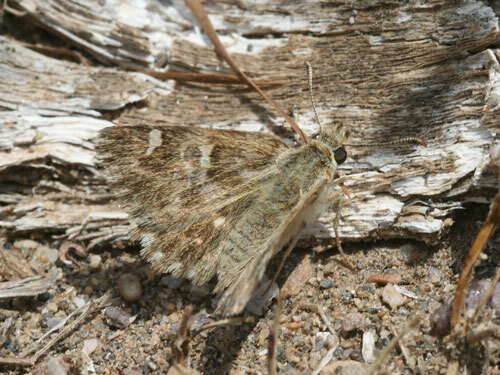 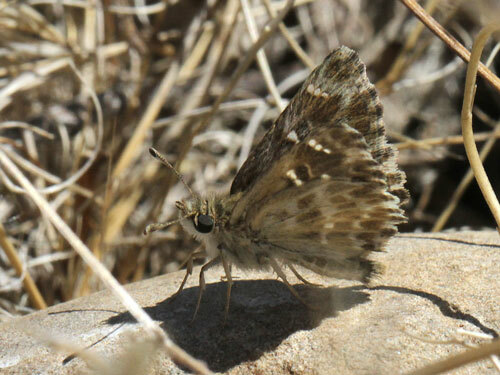 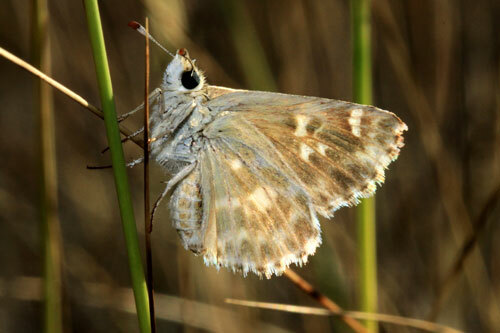 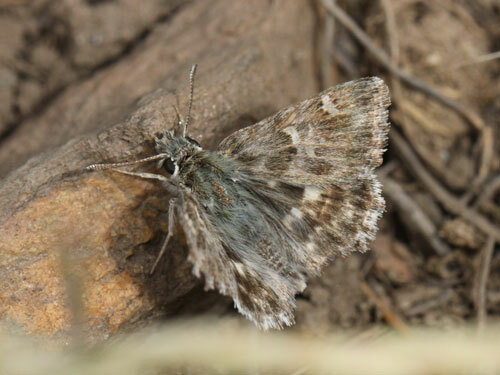 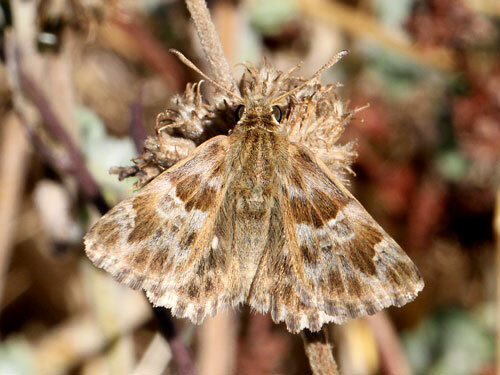 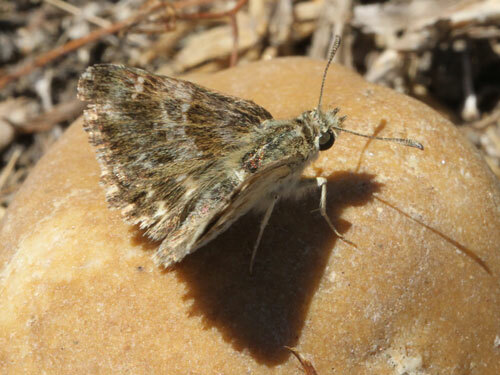 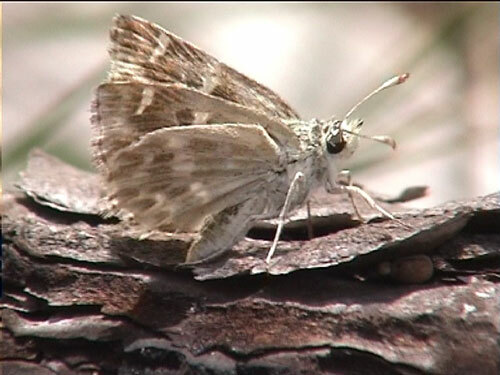 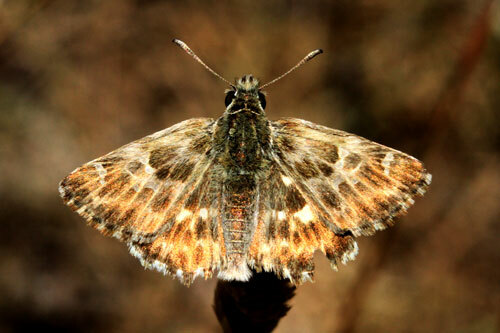 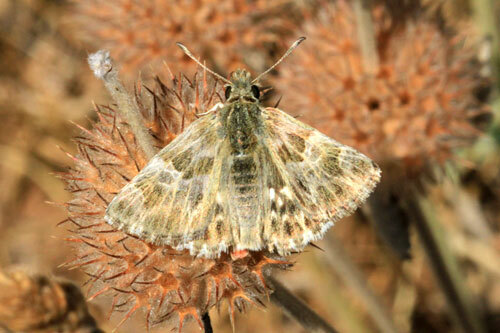 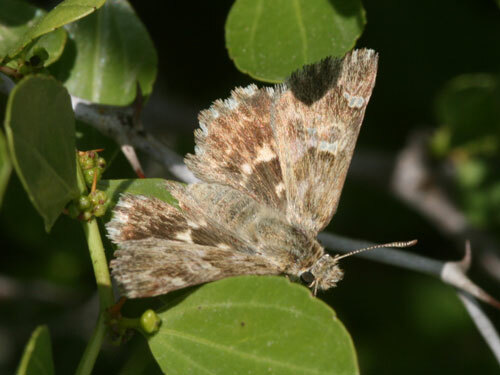 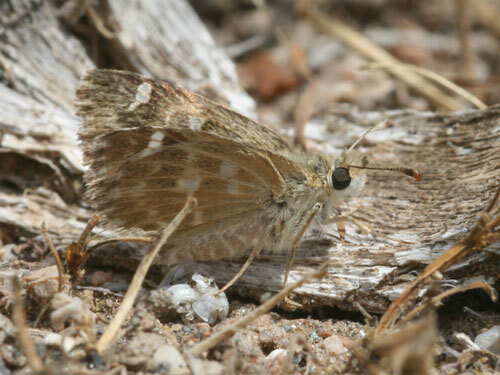 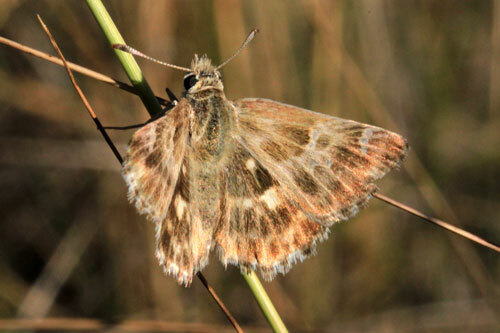 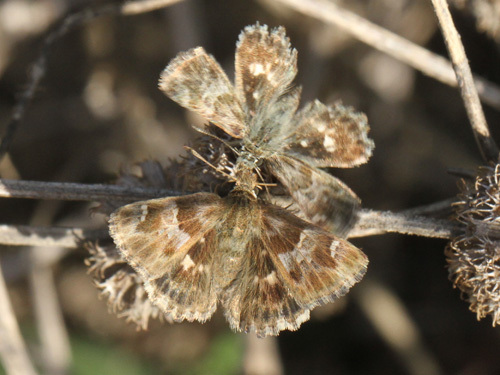 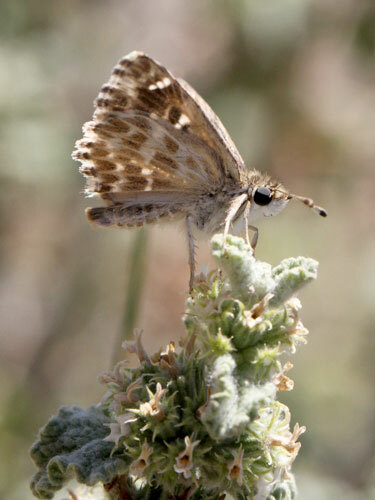 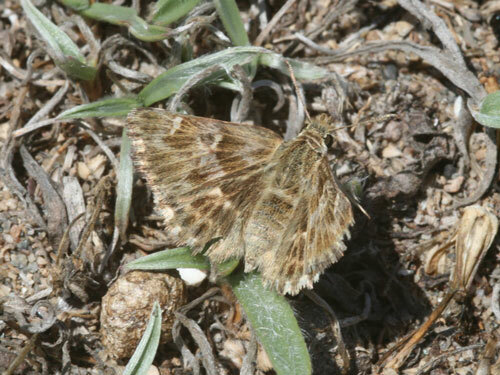 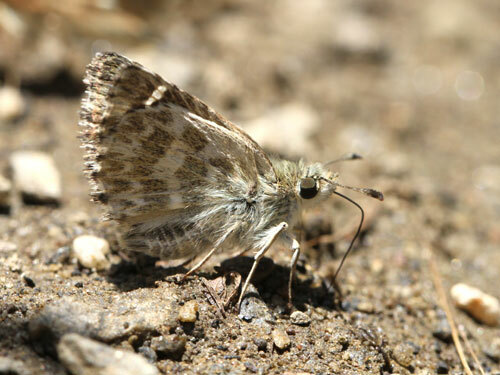 Identification & Similar species: The underside hindwing has 2 continuous pale bands on a slightly darker ground colour. 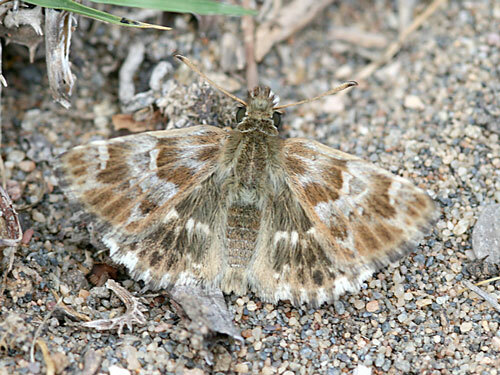 The outer band is lighly scalloped on the outer edge. 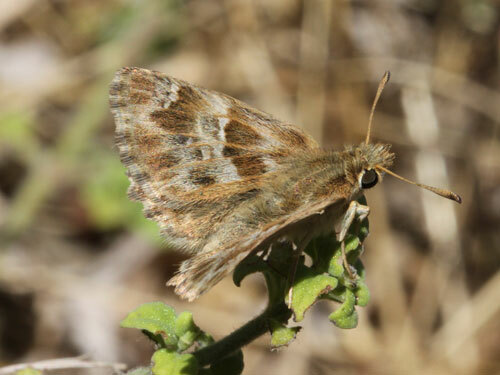 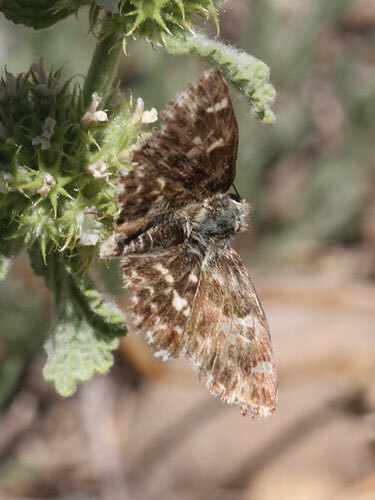 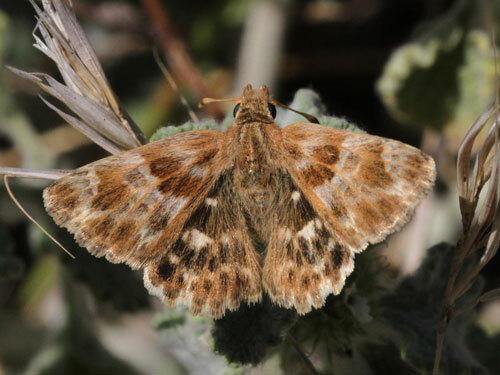 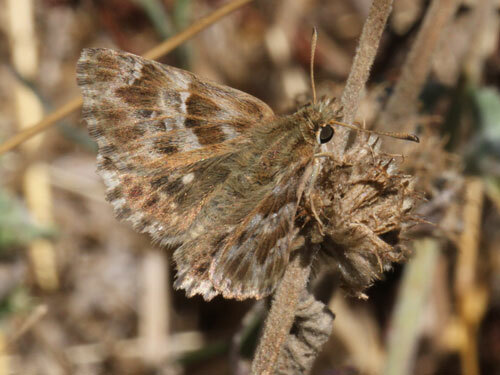 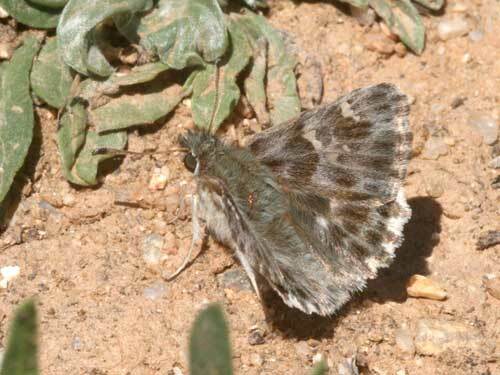 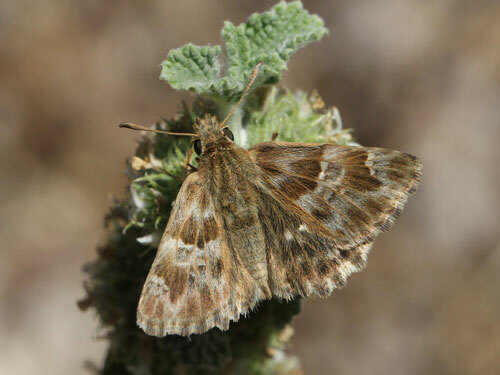 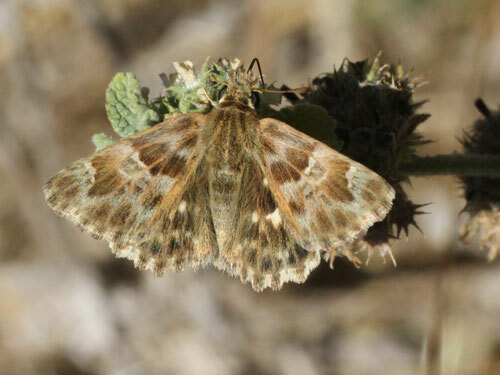 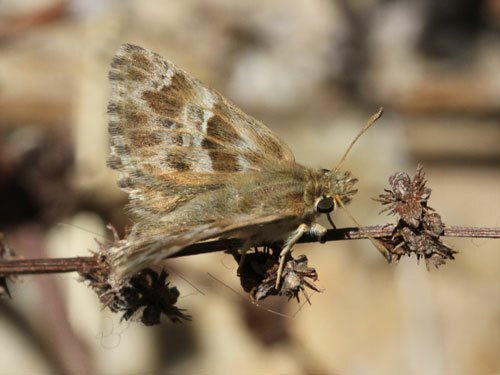 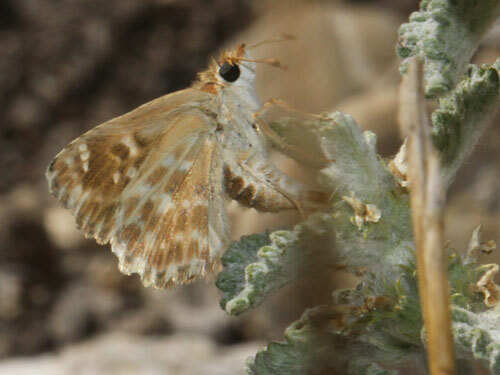 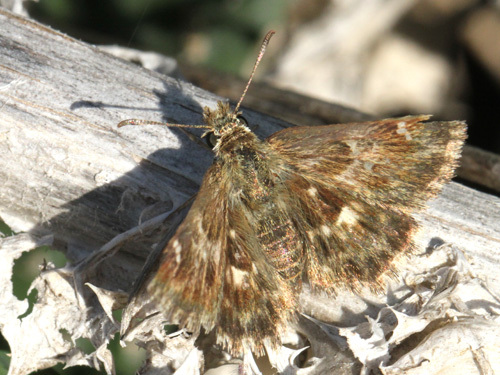 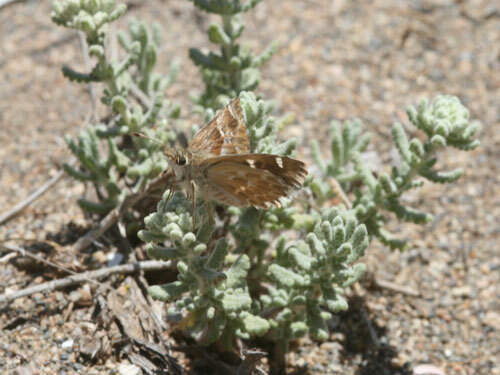 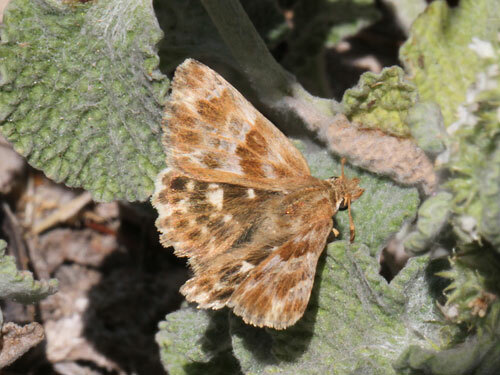 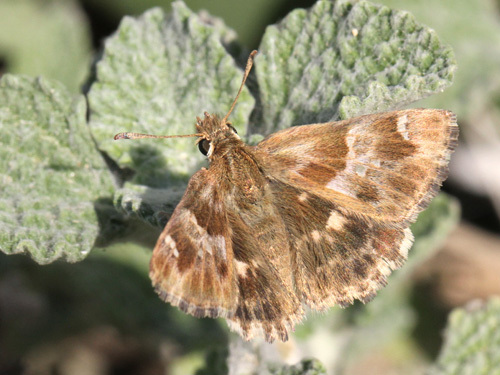 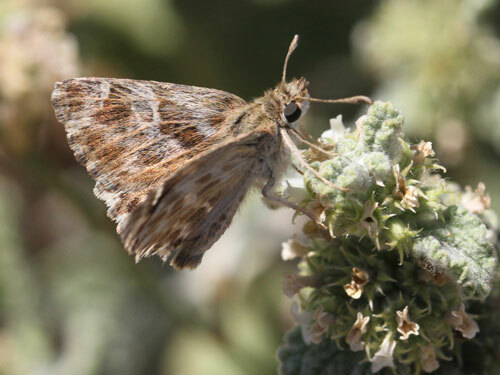 The key difference with the similar marbled skipper lavatherae are the pale lined veins. 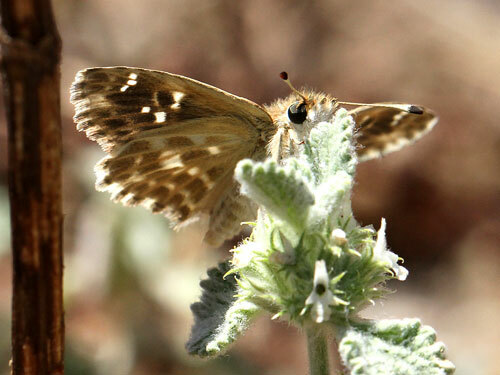 Distribution & Flight: Spain, south France and in Italy in Sicily, Appenines and the northwest. 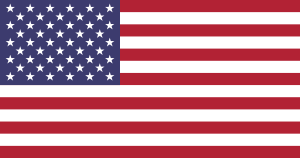 Now extinct in Switzerland. 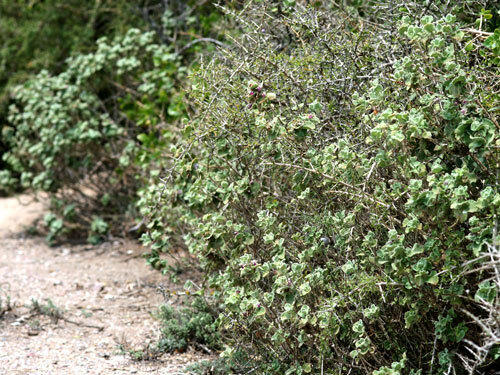 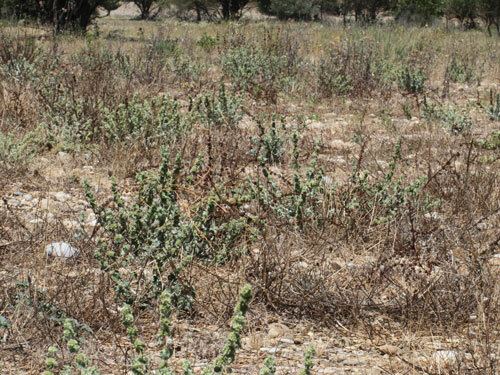 Habitat & Behaviour: Hot dry grassy slopes with rocks and scrub. 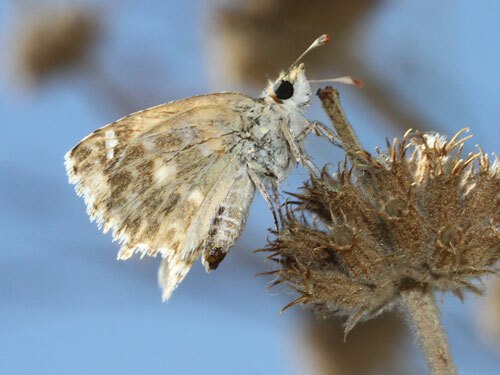 With the larval food plant. 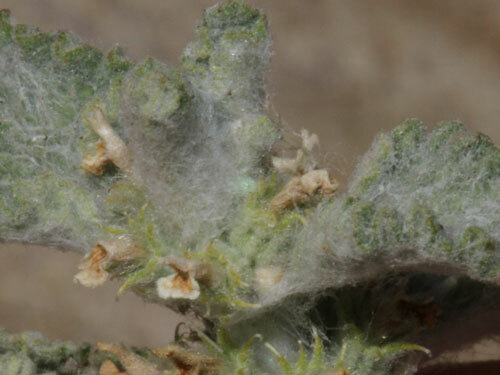 Altitude 100m. 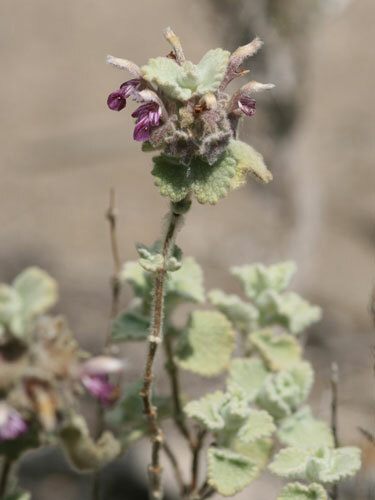 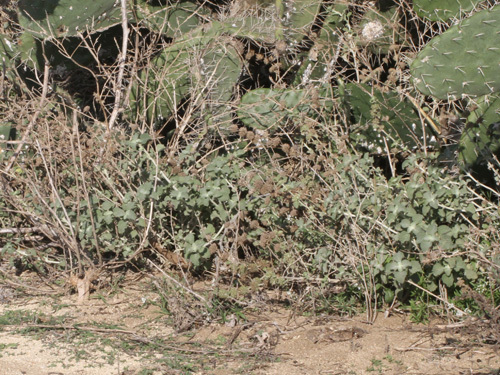 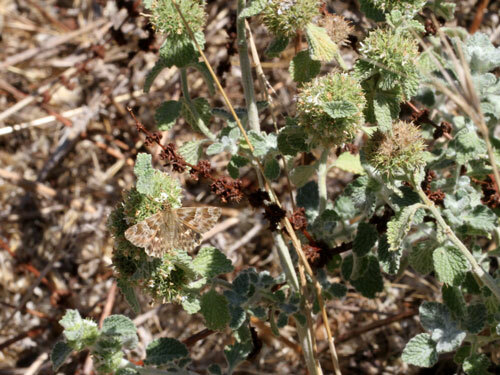 Eggs were laid on this plant, probably white horehound, Marrubium vulgare, that was nestingling under the protection of these Jujube (Thorn) bushes, Ziziphus lotus. 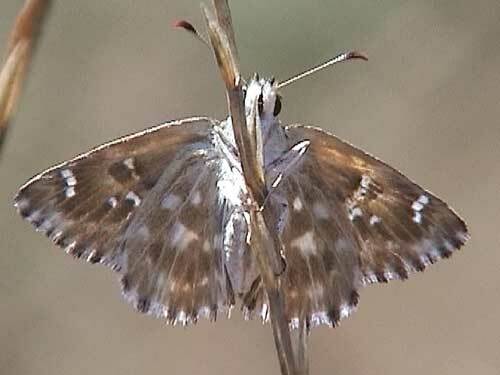 White lined veins of underside hindwing just about visible from this angle.